Finished one MMON Auto-Flush cycle. KEWRAPM: Finished one MMON Auto-Purge cycle. KEWRAPC: Auto Purge Action Completed. KEWRAPM: Beginning one MMON Auto-Purge cycle ..
AWR tables are not being purged according to settings in sys.wrm$_wr_control. Because of this the tables are accumulating more and more rows and the segments associated with these tables become very large. Oracle is deciding what rows need to be purged based on the retention policy. There is a special mechanism which is used in the case of the large AWR tables. For the large AWR tables, we store the snapshot data into partitions. Purging data from these tables means that a partition gets dropped. During the nightly purge task, we only drop the partition if all the data in the partition has expired. If the partition contains at least one row which, according to the retention policy shouldn’t be removed, then the partition won’t be dropped and as such the table will contain old data. Based on the above clarifications we can say that if anything is going wrong with the partition split operation then we will end up by having the AWR tables not to be purged. The root cause for the problems can be diagnosed by triggering the same operations which are executed each time the purge job is fired. ORA-20001: Component “WRH$_SQLSTA_2446360981_11691” does not exist on index “WRH$_SQLSTAT_INDEX” in schema “SYS”. 4) Steps 2 and 3 must be executed until setting the event is successful. We should have more partitions now and it is expected that the old partitions will get automatically removed when the retention period will expire. We anticipate RAC and Exadata will force proportionately higher SYSAUX tablespace growth to maintain performance and auditing statistics. The following example provides some suggestions on how to approach purging SYSAUX OPSTAT based data which can be one of the largest SYSAUX tablespace storage consumers. It is known that old WRH a/o OPSTAT data can be stranded under various circumstances. One reason that is not well known is that SQLSETs and BASELINEs require data that is collected and shared with AWR snapshots. Manual or automatic purging of legacy snapshots will not automatically free any snapshots that also share data with the SQLSETs and BASELINEs. This data would only be freed if the SQLSETS and BASELINES were dropped first. Make sure the SYSAUX tablespace is set to AUTOEXTEND off. Collect awrinfo report and verify which object is consuming the most space in the SYSAUX tablespace. 3. Drop snapshots manually with small range. 4. If the drop snapshot did not finish or consume for UNDO space. Terminate the session and wait for a day or two the default auto purge job should automatically drop the old snapshots. do not use expdp as this does not work for some sys related objects. 2. Truncate the table and verify is there any UNUSED indexes if so rebuild them. 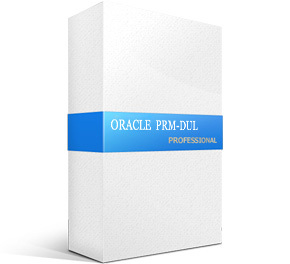 PRM is designed for Enterprise Database Recovery, which includes all Oracle DUL data recovery functionalities, and also easy-to-use GUI.